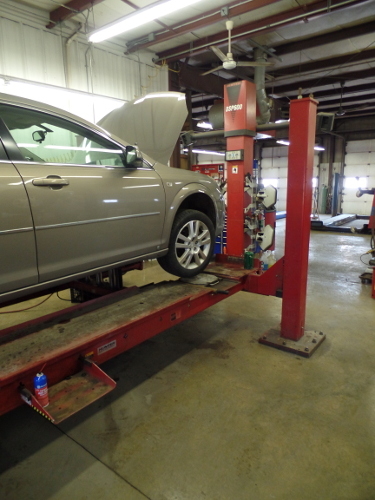 If your vehicle’s alignment is correctly positioned you’ll not only get the best performance from it. You’ll also be ensured a smooth and safe ride. When alignment is not proportioned correctly, driving grows more expensive and dangerous. With proper alignment your wheels are perpendicular to the ground and parallel to each other. When out of alignment, you’ll notice steering problems or uneven wear patterns on your tires. If so, your vehicle may need immediate attention. Let our expert technicians take a look. 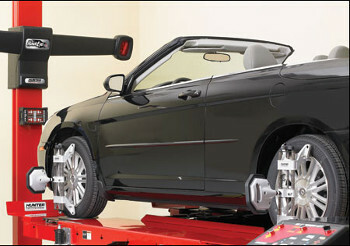 We may recommend that the angles of your wheels need our computerized alignment services. You might have poor alignment after a major or minor collision that results in physical damage to your vehicle’s frame. Driving over a pothole, or bumping into or over a curb can also cause poor alignment. Caster: The angle of a steering pivot, as seen from the side of the vehicle and measured in degrees. Three to five degrees of positive caster is typical for most vehicles. Camber: The angle of the wheel in relation to a vertical direction (as seen from the front or rear of the car).